Second, the succession of doctors or pastors of the Church does not prove anything of itself without the Word of God. The champions and defenders of the papistical church boast that they have a most certain mark of the apostolic Church, that is, in the continual succession of bishops which derives from Peter by Clement the First, and so to Clement the Seventh, and to Paul the Third who died recently, and so continuing to Julius the Third, who has only just been created pope. Moreover they add that all those members are cut off which separate themselves from that church in which alone that apostolic succession is found. And we do not deny that the right succession of pastors was of great weight in the primitive Church. For those who were then called pastors were pastors indeed, and executed the office of pastors. But what kind of pastors those have been for some time who out of the rabble of cardinals, mitred bishops and sophisters have been called pastors of the church of Rome, only those are ignorant who are altogether without understanding. The prophet Zechariah heard these words spoken to him by the Lord: "Take to thee yet the instruments of a foolish shepherd; for lo, I will raise up a shepherd in the land, which shall not look for the thing that is lost, nor seek the tender lambs, nor heal that that is hurt, nor.feed that that standeth up: but he shall eat the flesh of the fat, and tear their hoofs in pieces. Woe be to the idol shepherd that forsaketh the flock," etc. Therefore by their continual succession of bishops who do not teach the Word of God sincerely or execute the office and duty of pastors, these men do not prove any more than if they were to set before the eyes of the world a company, of idols. For who dare deny that many, indeed the majority of bishops of Rome since Gregory the Great were idols and wolves and devourers like those described by the prophet Zechariah? I ask then, what can the continual succession,cf such false pastors prove? indeed, did not the later ones fill almost the whole Church with the traditions of men, and partly oppress the Church of God, and partly persecute it? In the ancient church of the Israelites there was a continual order of succession of bishops, without any interruption from Aaron to Urias, who lived under Ahaz, and to other wicked high priests who also fell away from the Word of God: to the traditions of men, and indeed to idolatry. But for all that, that succession did not prove the idolatrous high-priests, with the church which adhered to them, to be the true high-priests of God and the true Church of God. For the true prophets of God, the sound and catholic fathers, who preached the Word of God alone apart from and indeed clean against all the traditions of men, were not able to reckon up any succession of priests to whom they themselves succeeded. Yet in spite of that, they were most excellent lights, and worthy members of the Church of God, and those who believed their doctrine were neither schismatics nor heretics, but even to this day are acknowledged to be the true Church of Christ. When Christ our Lord, the blessed Son of God, taught here on earth and gathered together his Church, the succession of high_priests ranged itself with his adversaries: but that did not mean that they were the rulers of the true Church of God, and Christ of the heretical church. The apostles of our Lord could not allege for themselves and their doctrine an unbroken succession of high-priests: for they were ordained by the Lord, who was also himself created of God the High Priest for ever after the order of Melchisedek, outside the succession of the order of Levi. Yet the Church which was gathered by them is acknowledged by all to be the true and holy Church. The apostles themselves would not allow any to be counted their true followers and successors but those who walked uprightly in the doctrine and way of Christ: for the saying of Paul is notable. and manifest: "Be ye followers of me, even as I am of Christ." And though he speaks these words to all the faithful, and not only to the ministers of God's Word, yet he would have the latter his followers like all other Christians, that is to say, every man in his vocation and calling. The same apostle, speaking at Miletum to the bishops of Asia, says amongst other things: "I know this, that after my departing shall grievous wolves enter in among you, not sparing the flock. Moreover, of your own selves shall men arise speaking perverse things, to draw disciples after them." It is from the apostolic Church itself, indeed from the company or assembly of apostolic bishops and pastors, that Paul the apostle fetches out the wolves and devourers of the Church. But do you not think that these could have alleged the apostolic succession for themselves and their most corrupt cause, that is, that, they were descended from apostolic pastors? But since forsaking the truth they have fallen from the faith and doctrine of the apostles, their derivation and apostolic succession does not in any way help them. Therefore we conclude that of itself the continual succession of bishops does not prove anything, but on the contrary that succession which lacks the purity of evangelical and apostolic doctrine is not valid. Christ: "Now the works of the flesh are manifest, which are fornication . . . murder . . . and suchlike. And concerning these I warn you, they who do such things will not attain the Kingdom of God" (Galatians 5:19-21). Luther: "Sin boldly but believe more boldly. Let your faith be greater than your sin. . . Sin will not destroy us in the reign of the Lamb, although we were to commit fornication a thousand times in one day" (Letter to Melanchton, August 1, 1521, Audin p.178). Christ: "And do not be drunk with wine, for in that is debauchery" (Eph. 5:18). "Keep thyself chaste" (I Tim. 5:22). Luther: "Why do I sit soaked in wine? ... To be continent and chaste is not in me" (Luther's diary). Christ: "What will it profit, my brethren, if a man says he has faith, but does not have works? As the body without the spirit is dead, so faith without works is dead also" (James 2:14,26). Luther: "He that says the Gospel requires works for salvation, I say, flat and plain, is a liar" ("able Talk, WeimerEdition, II, p.137). Christ: "Do not be liars against the truth. This is not the wisdom that descends from above. It is earthly, sensual,devilish" (James 3:1~15). "Do not lie to one another" (Col. 3:9). "The Lord hateth... a lying tongue... a deceitful witness that uttereth lies. . . "(Proverbs 6:1&17). "A thief is worse than a liar, but both of them shall inherit destruction" (Ecclus. 20:27). Luther: "To lie in case of necessity, or for convenience, or in excuse, would not offend God, who is ready to take such lies on Himself" (Enserch Conference, July 17, 1540). Christ: "Whosoever shall put away his wife and marry another, committeth adultery against her. And if the wife shall put away her husband, and be married to another, she committeth adultery" ~ark 10:11-12). Luther: "As to divorce, it is still a moot question whether it is allowable. For my part, I prefer bigamy" (DeWette,Vol.2, p.459). Christ: "Woe to that man by whom the Son of Man is betrayed! It were better for that man if he had not been born" (Matt. 26:24). "Let no man say when he is tempted, that he is tempted by God; for God is no tempter to evil"(James 1:13). Luther: "Judas' will was the work of God; God by His almighty power moved his will as He does all that is in this world" (De Servo Arbitro - Against man's free will). Accosted on all sides by charges of heresy, even by many of his former associates in the Protestant movement, Luther found refuge in this, the strangest of all his beliefs. No man is accountable for his actions, Luther taught, no matter how evil. Not even Judas! Such are the teachings of the first so-called "reformer" of Christ's Church! If Luther was a man divinely inspired or called in an extraordinary manner, why did God permit him to fall into so many absurdities in points of doctrine? "Luther finally brought himself to indulge the pleasing delusion that the Catholic Church was the detestable kingdom of Antichrist . . . that he himself was John the Evangelist... "(From the book LUTHER, P.65). I wasn't able to actually track down the pamphlet, but I did find it interesting that it does appear to have been granted the imprimatur by the Archbishop of St. Paul Minnesota. The final quote referring to "from the book LUTHER, P.65" may refer to an edition of The Manual of Universal Church History by John Alzog. The quote can be found on page 42. Alzog, a Roman polemicist, is simply giving his opinion about Luther's self perception while hidden in the Wartburg castle. Alzog contends that Luther was "habitually yielding" to demonic influences, and this brought him "to indulge the pleasing delusion that the Catholic Church was the detestable kingdom of Antichrist . . . that he himself was John the Evangelist... ". such a comment needs no refutation other than pointing out that the author is preaching to convinced Romanists perpetuating pre-Vatican II sentiment. 269. Do you know of any good in Luther? Intellectually, not much. He declared that reason was of the devil, and that the Christian must regard it as his greatest enemy. Morally, less still. St. Paul says that those who are Christ's have crucified their flesh with its vices and concupiscences. Gal 5:24. That Luther indulged his vices and concupiscences is clear from his writings, where he gives disgraceful descriptions of his own indulgence in everything passionate. His diaries record shocking excesses of sensuality, which could not be printed in any decent book today. A true Apostle of Christ does not give vent to such expressions as, "To be continent and chaste is not in me," or, "Why do I sit soaked in wine." I do not say these things merely to detract from the memory of Luther. But it is not right that people should be duped by the thought that Luther was a well-balanced and saintly reformer. He was not entirely devoid of good qualities. He was endowed with a certain kindness and generosity. But this does not compensate for his vices. He should have controlled his sentimentality and emotional nature in the light of Christian principles. He did not, but gave free rein to his lower passions, calmly saying that a man has to do so, and will not be responsible for such conduct. I have no idea what the authors are referring to by "Luther's diaries." It's probably a reference to the Tabletalk. I've yet to find any sort of reliable reference to "Why do I sit soaked in wine," and I doubt any Roman polemicist using this snippet cares to locate the context before cut-and-pasting. I hadn't realized two recent full-length books came out exploring Luther's attitude toward the Jews. I recently received both of them. The first one (of which I'm halfway through) is Eric Gritsch, Martin Luther's Anti-Semitism: Against His Better Judgment (Grand Rapids: Eerdmans, 2012). Gritsch is a good Luther scholar. So far, the book helpfully begins by defining terms, especially what the term "antisemitism" means. the term isn't as easy to define as some may think. What I found interesting so far is that back in 1993 Gritsch wrote, “Luther was not an anti-Semite in the racist sense. His arguments against the Jews were theological, not biological” [Eric Gritsch, “Was Luther Anti-Semitic? ” [Christian History, 39 (vol. XII, No. 3),39]. In an earlier book Gritch says, “And yet it must be said that Luther forged a theological ‘anti-Judaism’ rather than a biological ‘anti-Semetism.’ The biological, ethnic designation was disseminated in Germany during the financial panic following the Franco-Prussian War of 1870-71. Luther was not therefore the real father of German anti-Semitism, with its mass murder of Jews efficiently executed by Hitler’s bureaucratic henchmen” [Eric Gritsch, Martin- God’s Court Jester: Luther in Retrospect (Philadelphia: Fortress Press, 1983), 145]. In this recent book, Gritsch states, Luther is not simply "anti-Judaic" but rather "genuinely anti-Semetic" "in accordance with the broad, contemporary definition of anti-Semitism." It appears to me his position on Luther has shifted a bit from his earlier conclusions. One tangential point about Gritsch that I did not know was that he mentions in his recent book that he had been "a member of the Hitler Youth during the final days of World War II" (p. xiii). The second book (which arrived today) is Christopher J. Probst, Demonizing the Jews, Luther and the Protestant Church in Nazi Germany (Bloomington: Indiana University Press, 2012). I thumbed through this one briefly, and there was a fascinating section on Luther scholar Paul Althaus, the author of one of the best systematic approaches to Luther's theology. Probst documents the association that Althaus had with the Nazis, and then after the war being part of the denazification at Erlangen University, and then being suspended from this for being "pro-Hitler," and then being found not guilty by the denazification board. I look forward to reading both books over the holiday. Do Roman Catholics Believe in Ghosts? When in Rome, make sure to visit the Museum of the Souls of Purgatory. "Located in a small room next to a church, this eerie museum displays objects and photos of objects said to show traces of apparitions who reside in Purgatory." After skimming through this discussion, I’d like to offer some general comments about church history and Luther. When one hears today the call for a return to a patristic interpretation of Scripture, there is often latent in it a recollection of Church documents that spoke at times of the ‘unanimous consent of the Fathers’ as the guide for biblical interpretation. But just what this would entail is far from clear. For, as already mentioned, there were Church Fathers who did use a form of the historical-critical method, suited to their own day, and advocated a literal interpretation of Scripture, not the allegorical. But not all did so. Yet there was no uniform or monolithic patristic interpretation, either in the Greek Church of the East, Alexandrian or Antiochene, or in the Latin Church of the West. No one can ever tell us where such a “unanimous consent of the fathers” is to be found, and Pius XII finally thought it pertinent to call attention to the fact that there are but few texts whose sense has been defined by the authority of the Church, “nor are those more numerous about which the teaching of the Holy Fathers is unanimous.” Joseph A. Fitzmyer, Scripture, The Soul of Theology (New York: Paulist Press, 1994), p. 70. All periods of church history show continuity and discontinuity of periods that came before it. Of course there is an historical development in church doctrine and church practice… but how does one determine what has correctly… developed? History (and development) therefore is not an infallible standard by which to determine doctrine. More cautious Roman apologists realize this, which is why they typically argue that some sort of infallible sifter and determiner is required (which they claim to have). There is though a severe problem of double standards when Rome’s defenders pontificate. A Roman apologist will simply assume for instance that Trent was following the tradition of the church that there was no teaching of “faith alone” previous to Luther. Such an apologist will usually argue that Luther invented it. It didn't exist until Luther. It can’t be verified in church history. It can’t be true. On the other hand, when the same historical standard is applied to certain Roman Catholic dogmas, like Mary’s Bodily Assumption, Purgatory, Indulgences, etc., this same historical standard is swept under the rug and hidden. One has to seriously question why a standard that Roman apologists hold Protestants to is not likewise applied to their own beliefs. Wade through the corridors of church history and search for the threads of all Roman Catholic dogma. One falls flat of linking many of them back to the early church, or in some instances, even the Bible. As I've read Luther, he likewise doesn't appear to me to think any period of church history should function as infallibly normative either. Since history is a beast in flux, Luther strove to direct the church to an infallible standard by which to evaluate doctrine, practice, and development. Lo and behold, the Christian faith has just that: the infallible words of God recorded in Sacred Scripture. ...[T]hey relied excessively on the early fathers and lacked any doctrine of doctrinal development that would have helped them explain the accretions in practice and belief of the medieval church. They were too ready to contradict the reformers on the basis of established authorities rather than engaging the issues with any seriousness" (Luther's Earliest Opponents, p. 9-10). Now Augustine in relation to Luther has been mentioned many times throughout this discussion. Certainly Luther held Augustine in high regard, but anyone taking the time to actually read Luther notices that his appeal to him is only occasional and qualified. In fact Augustine is treated like many of the other voices from earlier church history by Luther: he held his opinion could not be unquestionably followed, thus he commends him at times, and criticizes him as well. Since Luther’s infallible standard was Sacred Scripture, he did not cite or refer to Augustine or anyone to establish any doctrine. Certainly he would appeal to church history at times for polemical purposes, like when someone agreed with some particular point he was arguing, but for Luther, the church must always appeal to Scripture to determine truth. In a missions conference in the 1960s, John Piper tells of when he heard someone ask a veteran missionary this question, "If you believe in Predestination, why would you want to be a missionary?" The veteran missionary answered, something like this,"I would not persevere as a missionary for 20 years in minsitry without the Biblical doctrine of predestination!" For some answers to that question, see 1. here; and 2. here; and 3. here. I know some of my friends are upset with Dr. Piper for inviting Rick Warren (and Mark Driscoll earlier) [I agree that those were unwise decisions.] to speak at one of his "Desiring God" conferences (and never directly dealing with the problems and red-flags that Warren generates by his pragmatism, etc. ); and also Piper's continualism of the miracle-sign gifts seems out of place with Reformed theology and there are a few other issues that we would disgree him on; but his passion for God and sound doctrine and missions is just so good, and so right; that I forgive him for his other mistakes. About the Conference: Many college aged and young adult Christians are seeking guidance as to what God's purpose/vocation/career for their life will be. A great way to explore possibilities in missions is to go to the Cross Conference. (December 27-30) It will be in Louisville, Kentucky. It is especially designed for young people/ college and University Students, who are wrestling with the questions of what kind of career and purpose and vocation should they pursue and asking the question, "what are my gifts and how does my personality and giftedness fit into God purpose to glorify Himself in this world?" Even if you are not going to be a missionary who goes oversees or to another culture; the Biblical and spiritual atmosphere will be equipping you to glorify God better and walk with Him no matter what vocation or career God leads you to. The whole conference would also be very helpful for missions pastors and missions committee members and elders and pastors of local churches, in building their missions vision and motivation for their church. There will be many key missions speakers and pastors and workshops/break-out sessions. All of the "break-out" sessions explore issues that people, churches, and missionaries face, and some issues that non-missionaries are facing in our modern world, for example, issues of Islam, Islamic terrorism; and contextualization and how to understand those issues from a Biblical point of view. Please be praying for these students who come to the conference to keep on abiding in Jesus (John 15:1-16) and go and serve in their local home church, just as Paul and Barnabas did (Acts 11:26) for an extended period of time; and then as they were submissive to the elders/leaders/teachers as they worshiped the Lord and fasted and prayed, the Holy Spirit spoke and said, "Set apart for Me Barnabas and Saul to the work for which I have called them". See Acts 13:1-4 As they followed the Lord and the local church authority, when the church sent them out (verse 3), the Holy Spirit was sending them out. (verse 4) When a Biblical church sends out workers, the Holy Spirit sends out workers. A few years ago I put up a basic overview post of the controversy as to whether Luther nailed or mailed the Ninety-five Theses. Recently this topic came up on the Catholic Answers "Non-Catholic Religions" forum: Help from Lutherans. It was questioned as to whether or not Luther was the sole author of the document and stated that one "cannot find any historical reference to the events in Wittenberg until over 100 years after they are supposed to happen." Oddly, a Catholic Answers moderator shut the discussion down (and the person who originally posted the topic has been suspended). I never recall reading anyone arguing that Luther was not the sole author of the Ninety-five Theses. The notion that the Theses has no historical pedigree until one hundred years later appears to be some sort of variation of the argument put forth by Erwin Iserloh: The Theses Were Not Posted: Luther Between Reform and Reformation. Iserloh held the Ninety-five Theses weren't nailed to the Wittenberg church door, but rather mailed to particular ecclesiastical superiors. "Luther did not post the Theses but only sent them to Archbishop Albert of Mainz and Bishop Jerome Schulz of Brandenburg, the appropriate representatives of the church, for their approval" [LW 31:23]. Iserloh was responded to by Kurt Aland, Martin Luther’s 95 Theses (St. Louis: Concordia, 1967). The discussion got a little more interesting when a new CA member joined in. I responded to some of the charges made. In essence, the position of Iserloh was being put forth as historical fact (via Richard Marius). I responded that basically the nailed or mailed controversy comes down to whether or not Melanchthon can be trusted as presenting reliable history. Roman Catholic scholar Franz Posset has recently written quite convincingly that Melanchthon's memoirs of Luther are to be trusted more or less, but yet states, "Did Rorer and Melanchthon concoct the Posting in good faith? It looks like it" [The Real Luther, p. 23]. I'm not so sure though that "it looks like it" settles anything. I find it curious how Posset painstakingly argues for the credibility of Melanchthon, but then decides he can't be trusted on this issue. In response to this, Melanchthon was villainized and his entire career was presented as completely untrustworthy. Now, anytime someone from church history is completely villainized, that should send up a red flag that a caricature is being put forth. People from church history are usually a mixture of successes and failures, sins and virtuous acts, good and bad theology, etc. It has been stated here on this thread that the matter of whether Luther ever did any “nailing” rests on the honesty (or dishonesty) of Luther’s right hand man, Philip Melanchthon. I disagree. This ignores the point made by Marius which I included in my last post. Marius made it clear that the only way for Luther’s writings to be consistent with history would be if that history didn’t include any kind of ‘nailing’. Why would Luther suggest (in early November) that he didn’t want the Elector to become aware of the 95 Theses when he himself had (supposedly) affixed them to the doors of the Wittenberg Church, at least several days earlier, where they would certainly be brought to the attention of the Elector? Furthermore, if the issue is to be determined by Melanchthon’s honesty, then would actual evidence of his dishonesty on a very important matter mean that there was never really any nailing? I responded again, pointing this person to the fact that it looks like Marius was simply parroting Iserloh's arguments and appears to not have even considered the argumentation of Kurt Aland. Now what bothers me the most about the position of Marius is he seems completely ignorant of Aland's counter-argumentation. If one is going to present scholarship, shouldn't one be at least be familiar with the counter arguments as well? The letter to Spalatin, which is from the early part of November 1517, is of special importance. Definite conclusions can be drawn from it: Luther answers Spalatin's inquiry why he did not send the Ninety-five Theses to the court. Spalatin therefore at least must have heard about the theses by that time and perhaps was already in possession of a copy. Moreover, the theses were already known to a somewhat large circle, since Luther speaks of "the many" who assumed that the elector was behind them. If this was the case in the very early part of November, there can be no other explanation than that "the many," just as Spalatin and the court, knew the theses from the posting on the door of the castle chapel from which copies were circulated. In the early days of November - the letter was written, at the latest, on 5 November - such an echo could not have been caused by Luther's private circulation of the theses, even if he had begun this immediately after 31 October. We have no information concerning this. 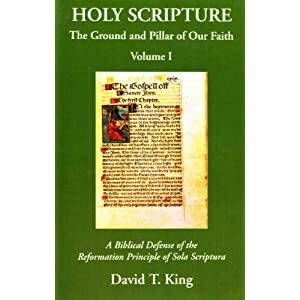 At any rate Spalatin did not receive a copy; it is precisely because of this that he complains [Kurt Aland, Martin Luther's 95 Theses, with Pertinent Documents from the History of the Reformation (St. Louis: Concordia Publishing House, 1967), p.18]. If it turns out the Wittenberg door story is factually inaccurate, well, so be it. There are number of Luther myths, some perpetuated by Protestants, some perpetuated by Catholics. For Reformation Day, I actually gave a lecture on the Reformers to a group of Protestants favorable to the Reformation, and I spent the first 15 minutes or so pointing out that the major Reformers were men with failures, faults, and sins, and also that some Protestants had gone (or do go) too far in honoring their memory (while on the other hand, some go to far in vilifying their memory). For me, the nailed of mailed controversy is a silly debate. If it were determined that Iserloh's argument was the actual historical situation, so be it. It doesn't change the fact the the Ninety-five Theses was, as some consider, the first mass-media event. The Theses caused quite a controversy whether they were nailed or mailed.